Above: No. 17 Briggate is now home to Silsden Opticians, run by Hamed Saddique (left) and Nazakat Hussain, whose business opened in March. The town has been without an optician since the closure, around 10 years ago, of Brooks' in Kirkgate opposite the entrance to Elliott Street. The knitted yellow jerseys in the windows are part of a town-wide celebration of the Tour de France, which will pass through Silsden on Sunday, July 6. Above: No. 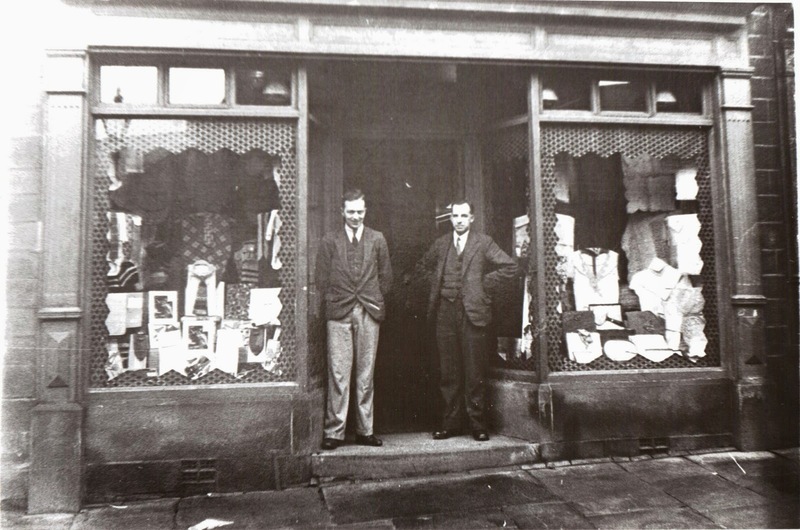 17 Briggate in the late 1920s or early 1930s, when the shop was a draper's owned by brothers Jonas and Leonard Clarkson. Senior Silsden citizens recall that Jonas used to take goods bundled up round the streets on spec. Photograph from the late Kevin Bower's collection.